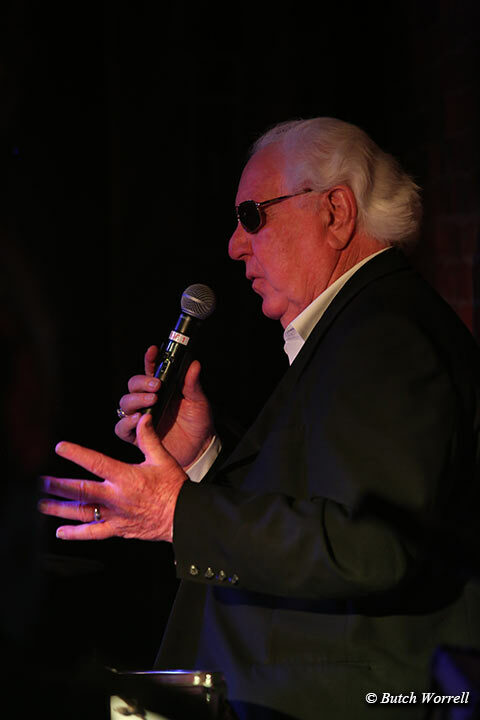 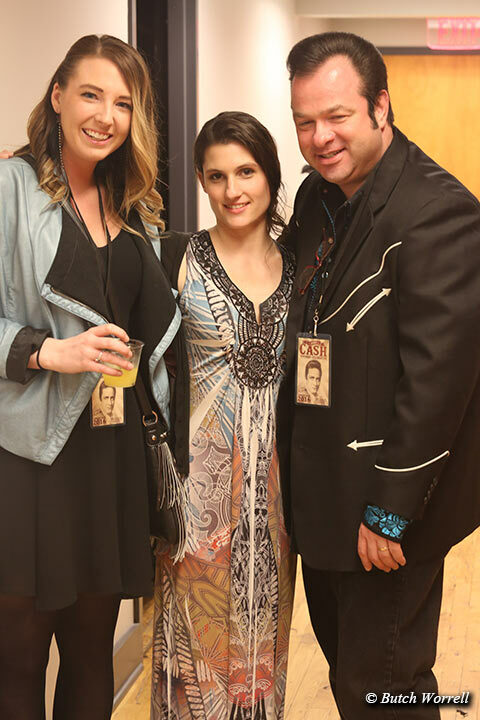 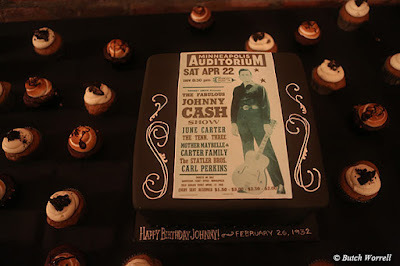 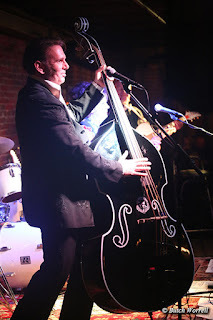 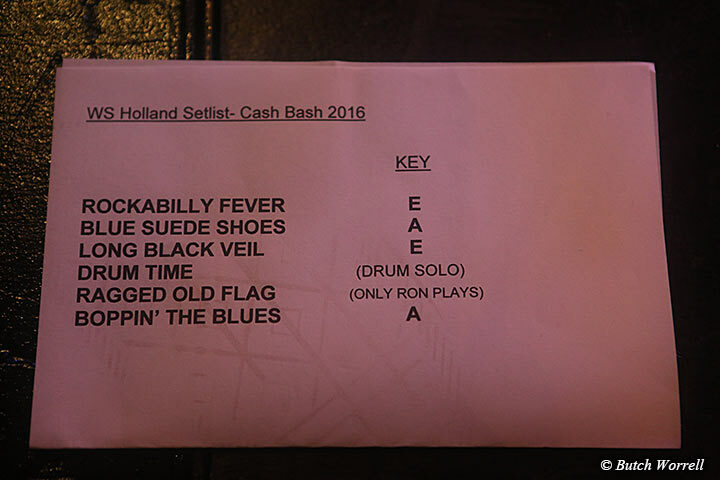 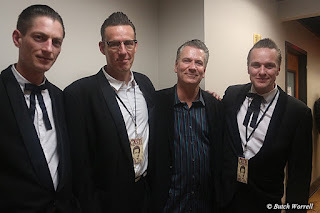 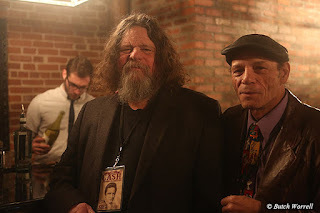 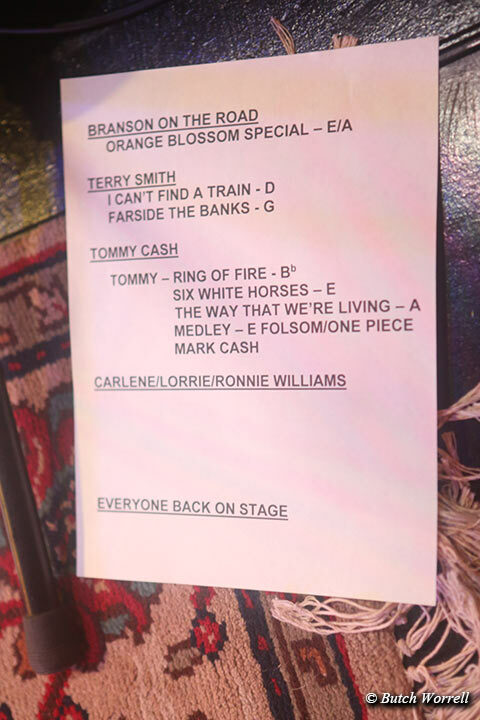 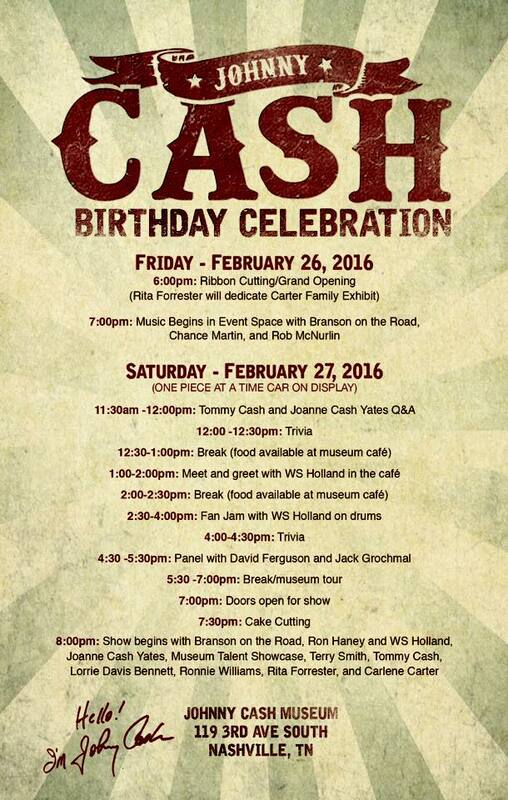 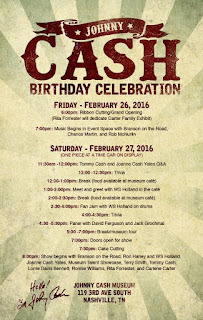 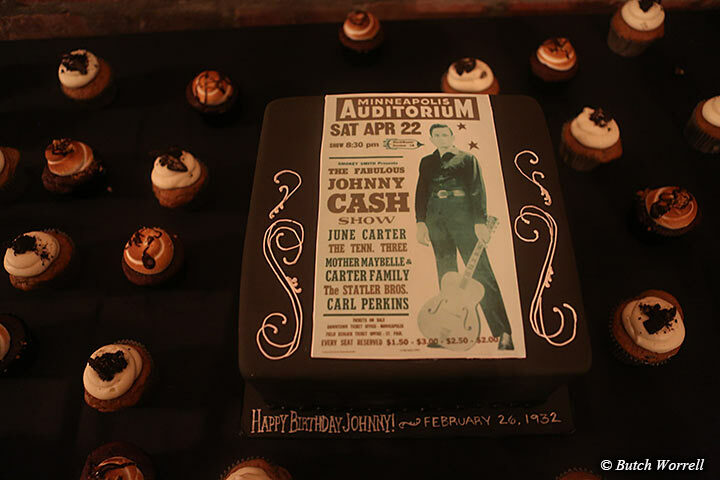 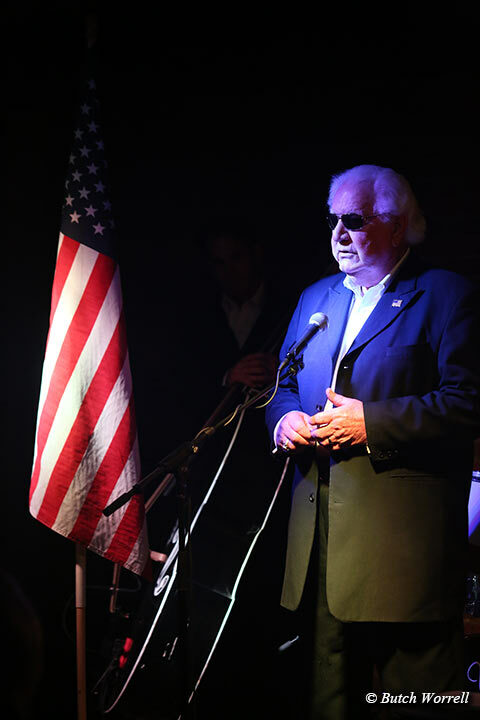 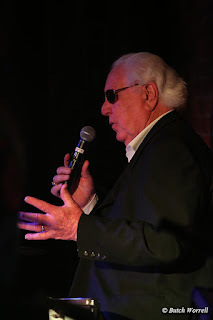 The Johnny Cash museum once again hosted it's annual “Birthday Bash” where Johnny's family, friends, and fans gather, literally from all over the world, to honor the Man in Black and celebrate his birthday. 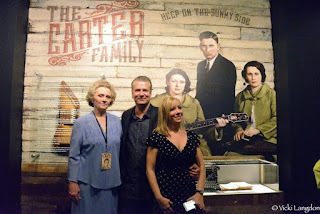 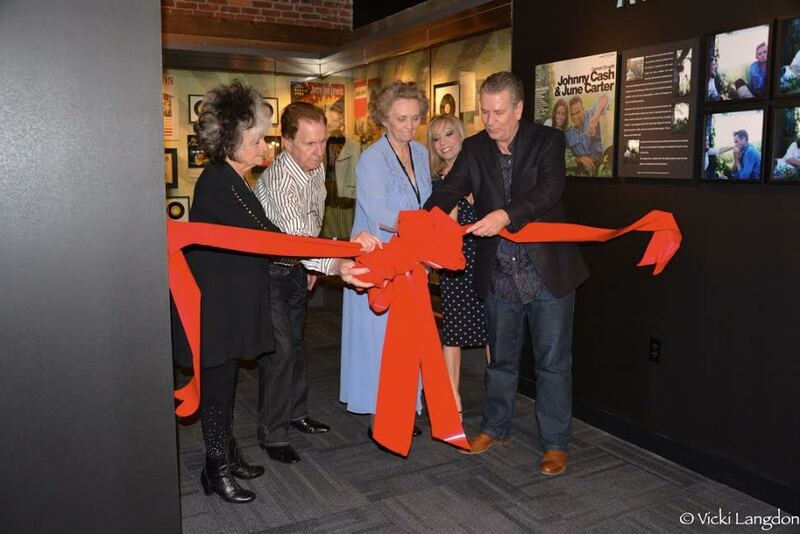 Rita Forrester, a granddaughter of country music's First Family, Tommy Cash (Johnny's brother), Joanne Cash Yates (Johnny's sister), with Bill and Shannon Miller (the proprietors of the museum) cut the ribbon on Friday, Feb. 26, to officially dedicate the museum's new exhibit honoring the original Carter family-A.P., Sara, and Maybelle. The new wing not only houses the Carter Family exhibit, it also includes a one-of-the-kind display of items from the “Walk the Line” movie. 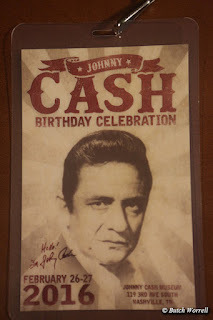 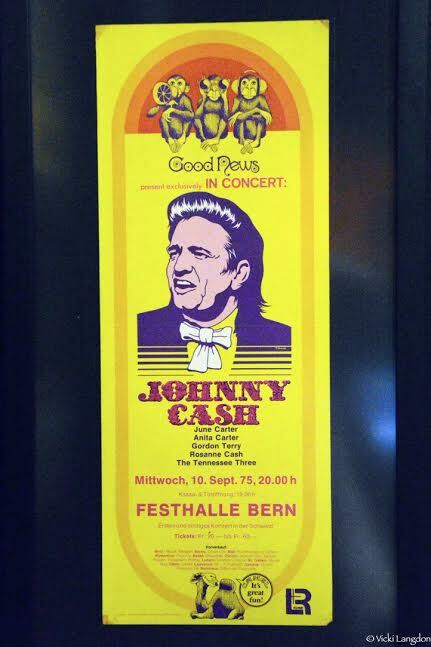 There is also now an interactive exhibit which allows museum visitors to remix Cash recordings and an extensive display of Cash show posters, one of the most famous serving as the center piece of the birthday cake. 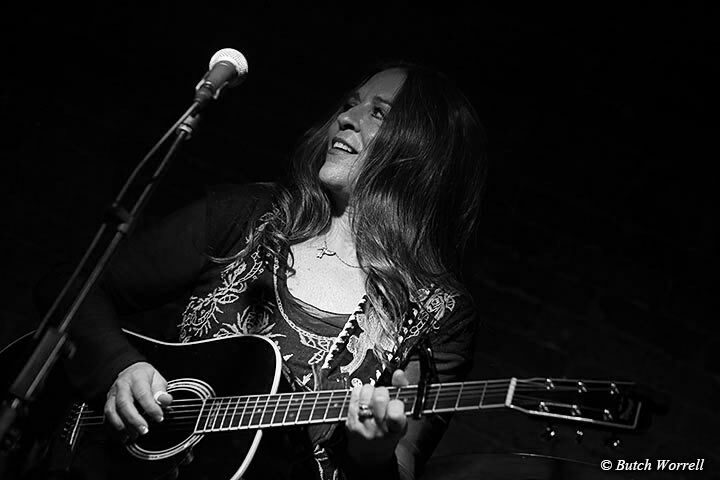 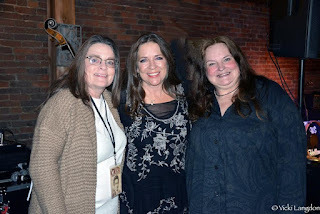 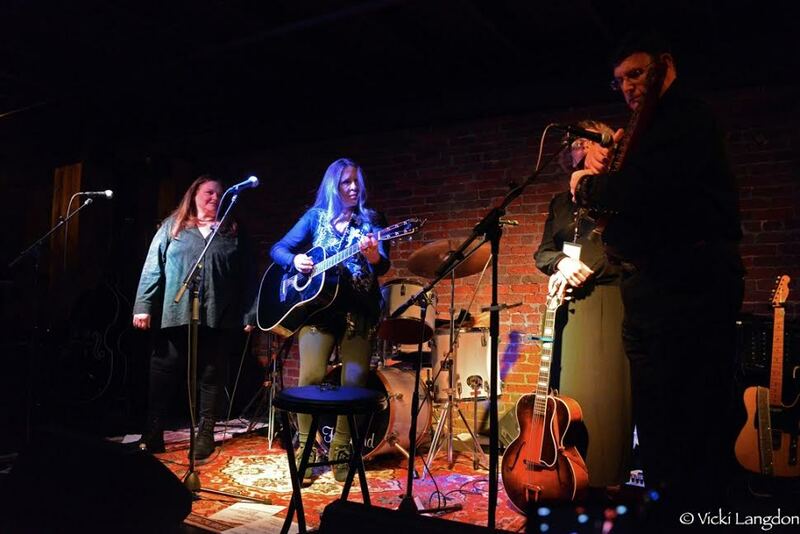 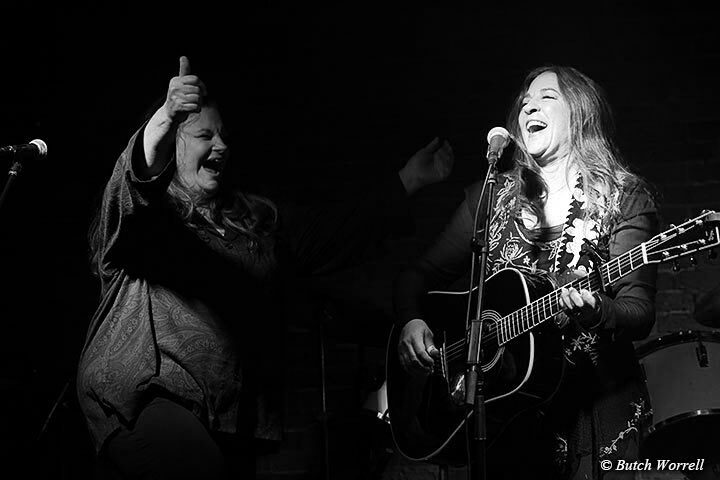 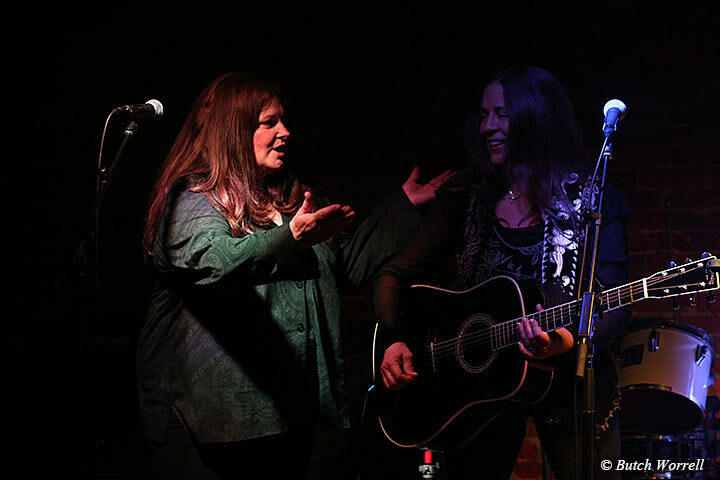 On Saturday night the family and friends put on a “hootenanny”, as Carlene Carter put it, celebrating the music of the Cash/Carter clan. 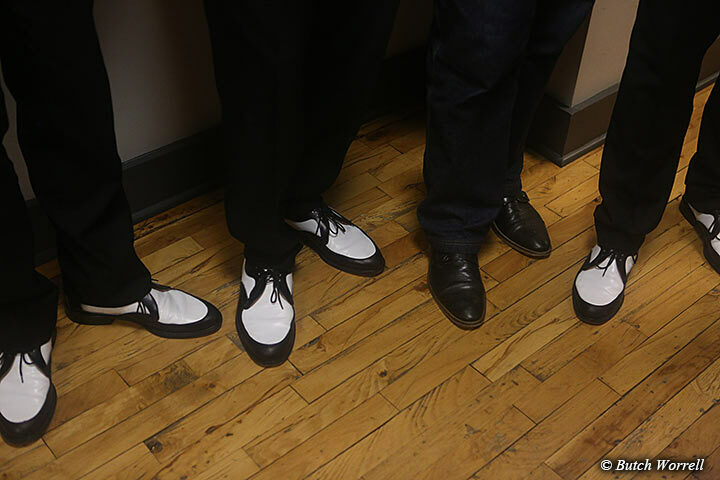 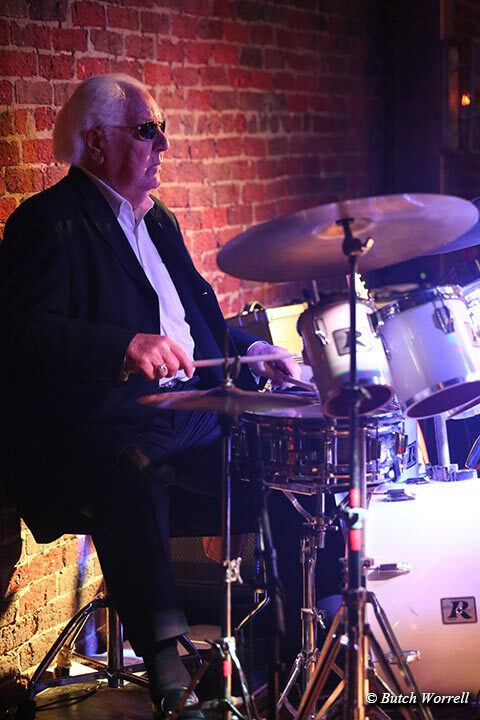 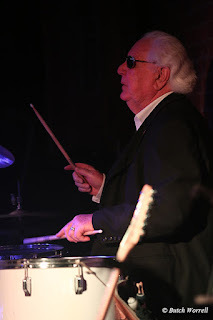 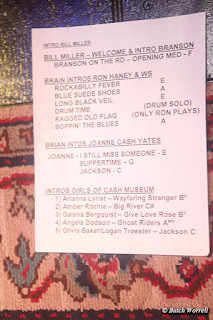 The house band, led by WS “Fluke” Holland, Johnny's long time drummer, included the members of “Branson on the Road” and Ron Haney. 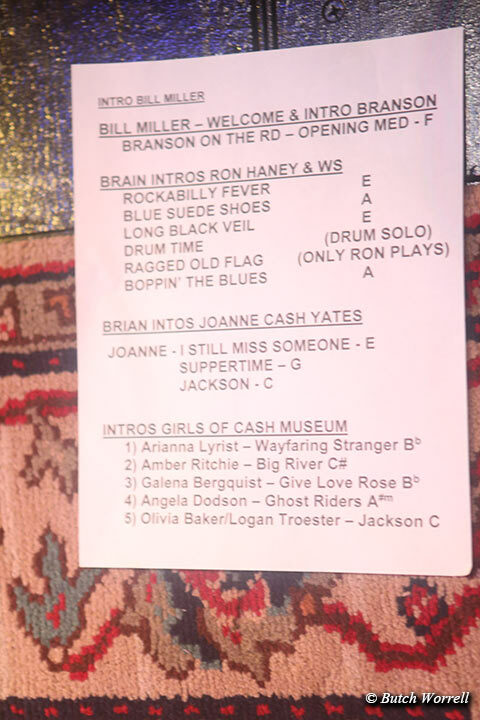 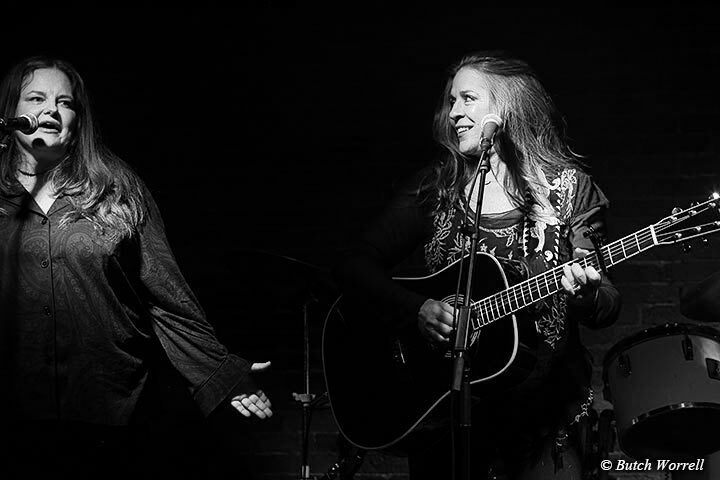 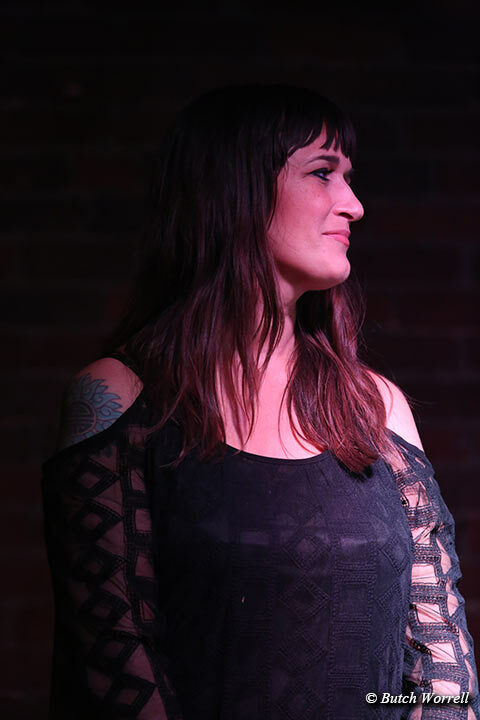 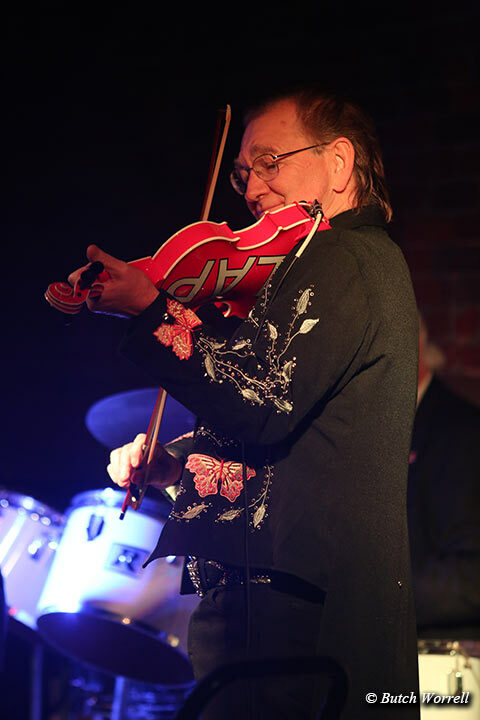 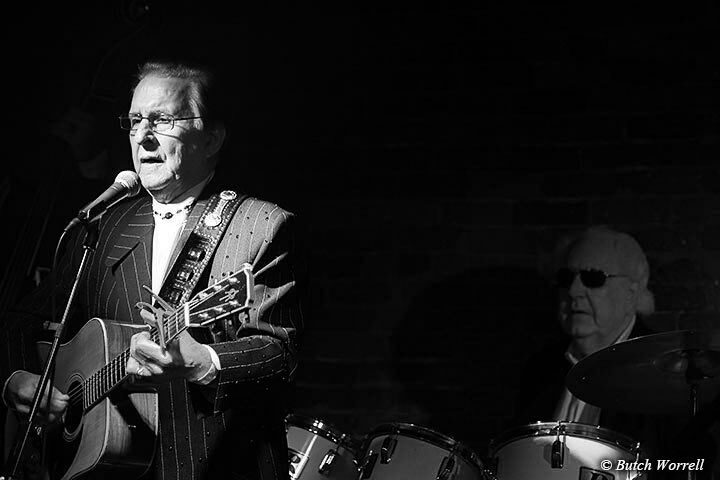 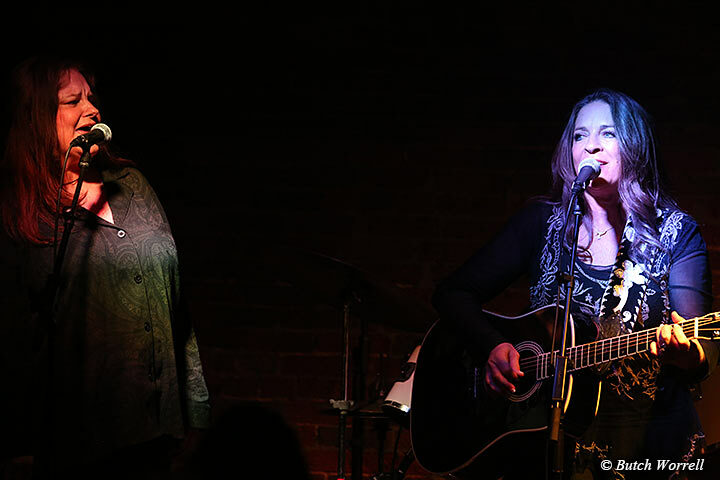 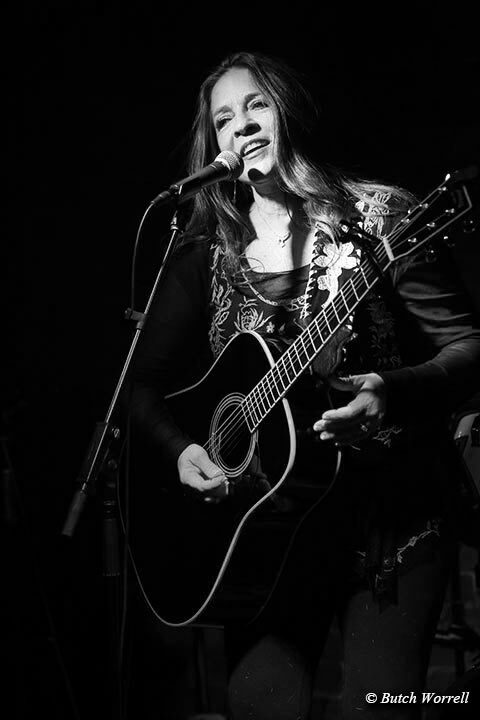 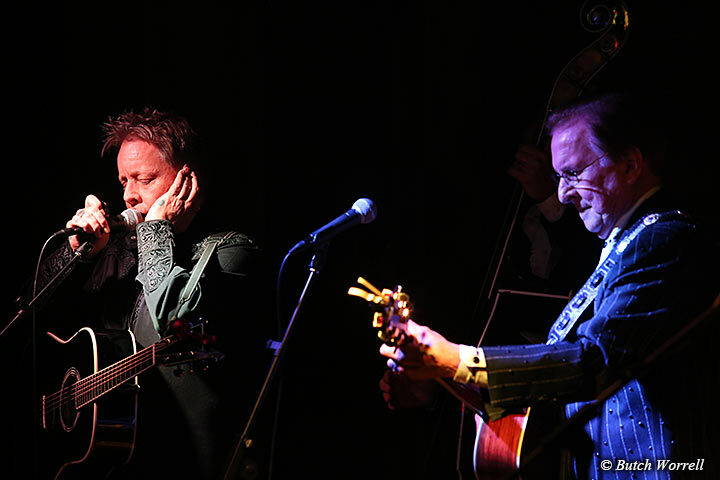 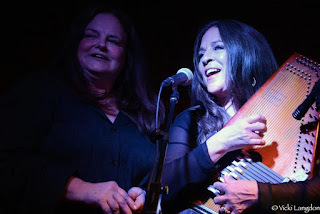 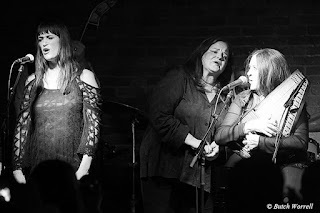 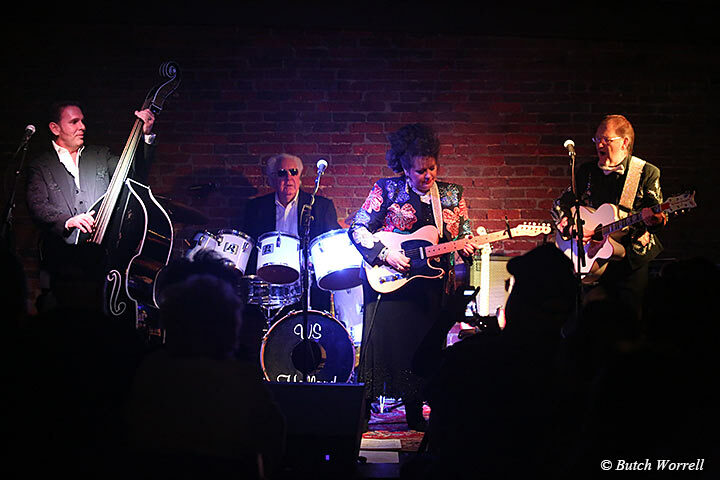 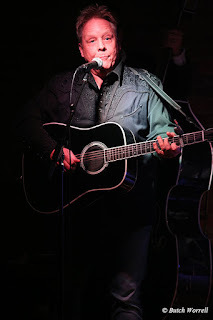 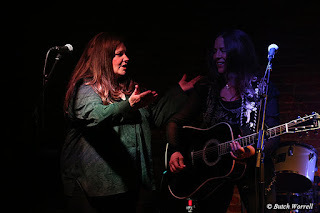 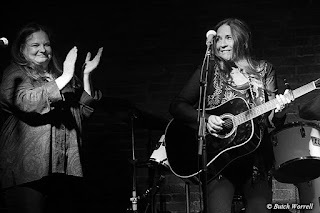 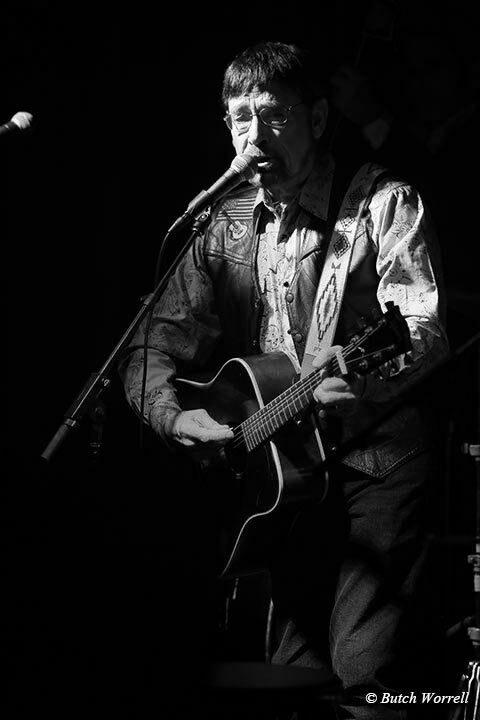 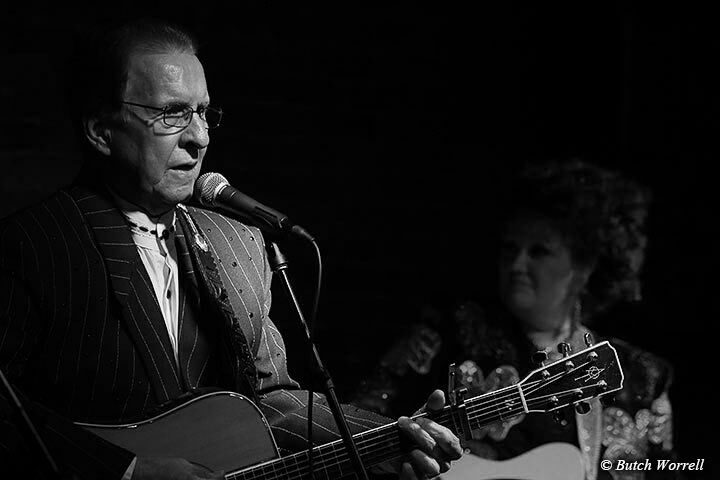 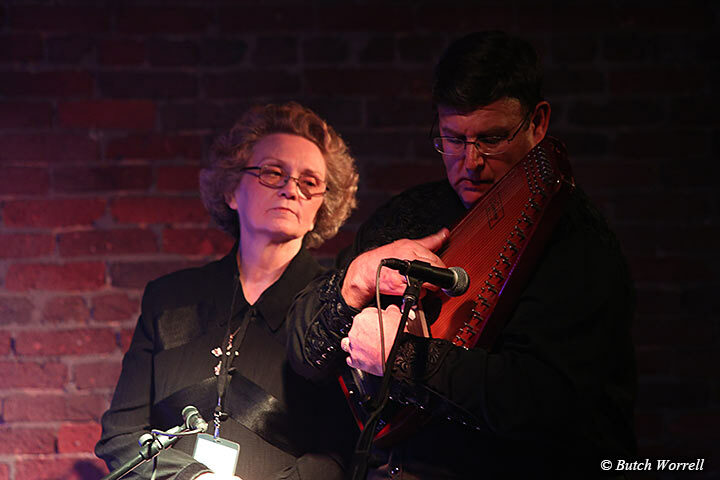 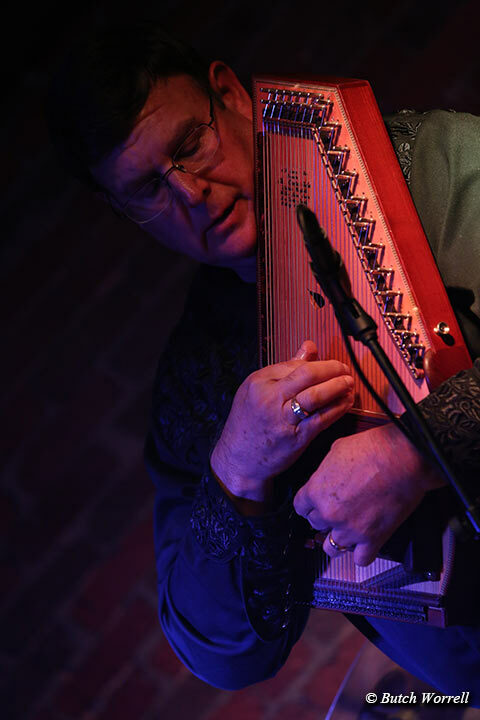 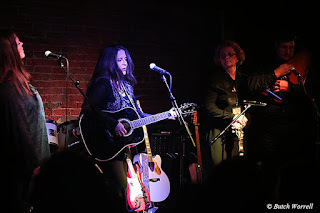 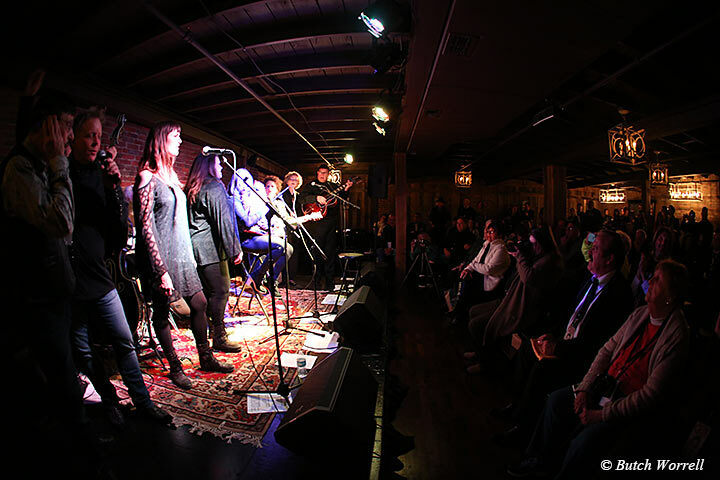 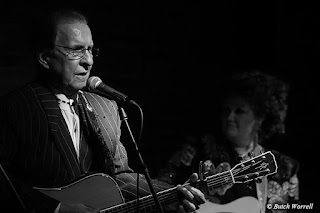 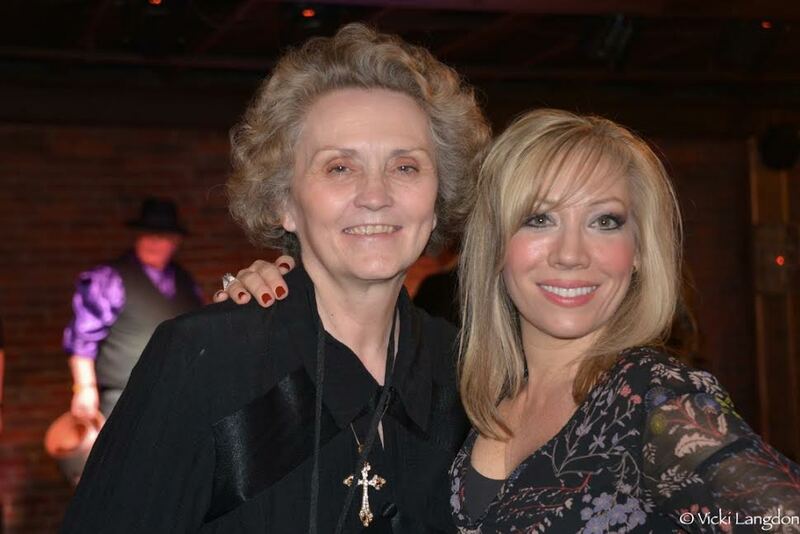 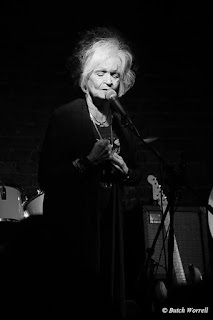 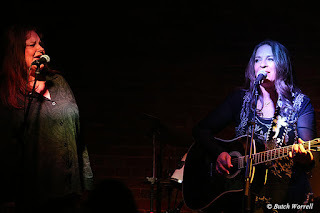 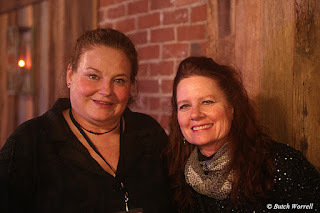 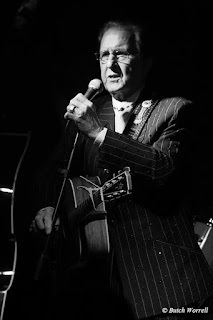 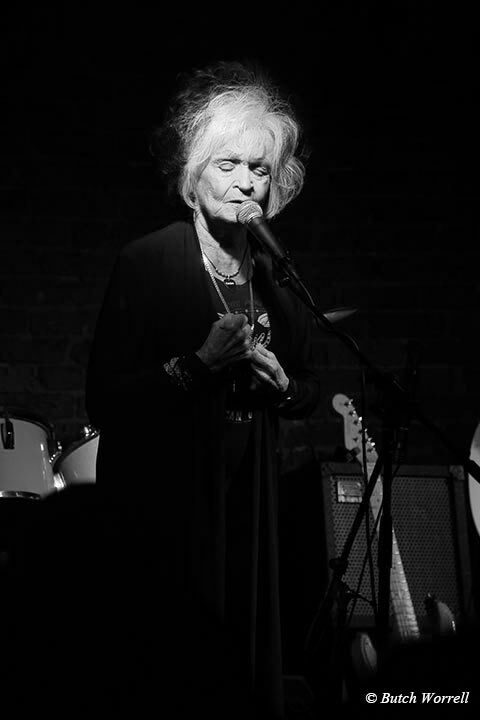 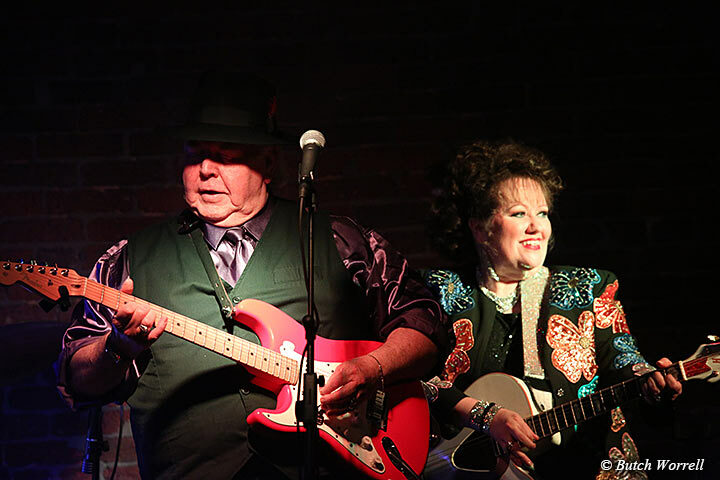 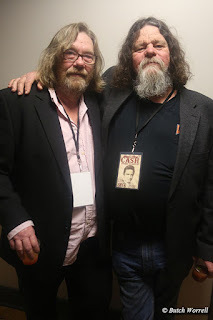 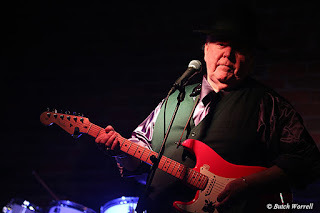 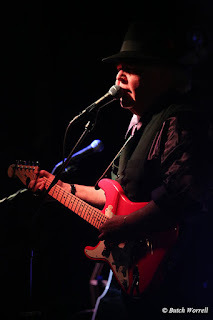 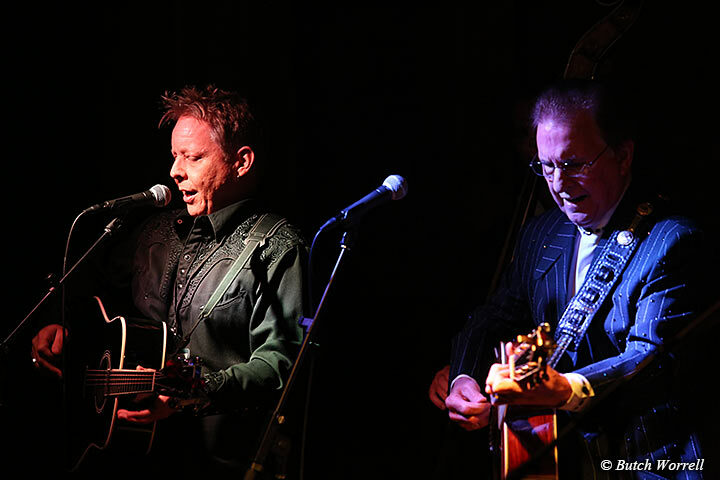 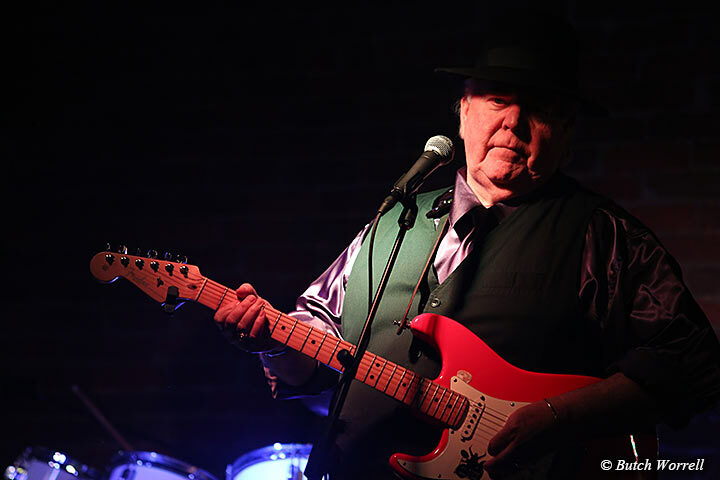 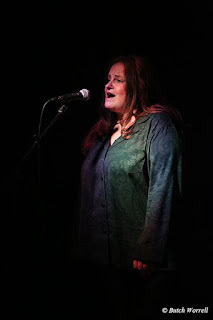 They backed performances by Joanne Cash Yates, Tommy Cash, Mark Cash, Terry Smith, “The Girls of the Cash Museum”, Lorrie Davis Bennett (Anita Carter's daughter), Carlene Carter, Tiffany Lowe (Carlene's daughter), Rita Forrester, and Ronnie Williams. 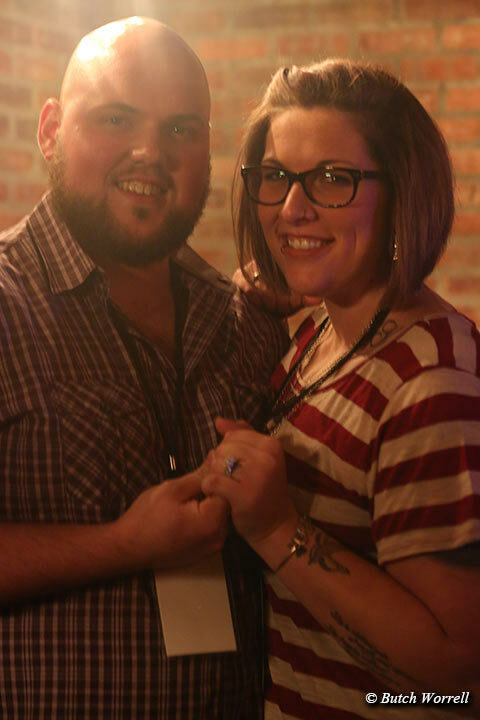 There was even an on stage marriage proposal by fan Seth Shelton to his girl friend Danielle Geller. A special moment was WS Holland's recital of Johnny Cash's “Ragged Old Flag”. 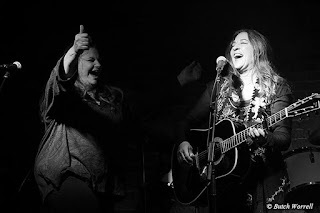 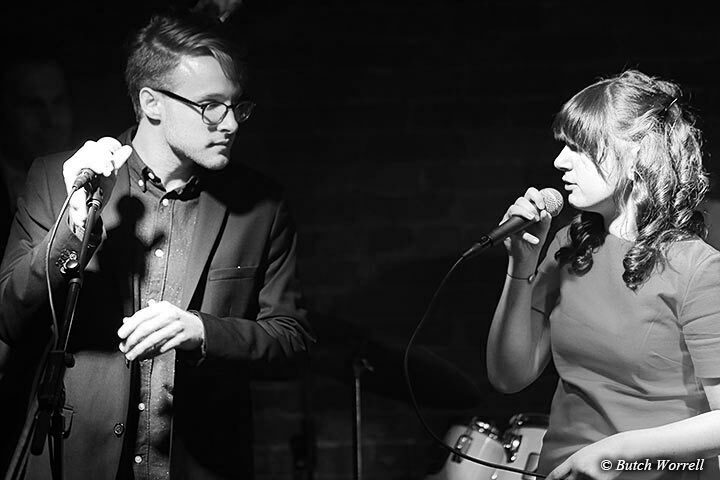 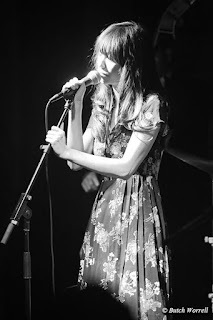 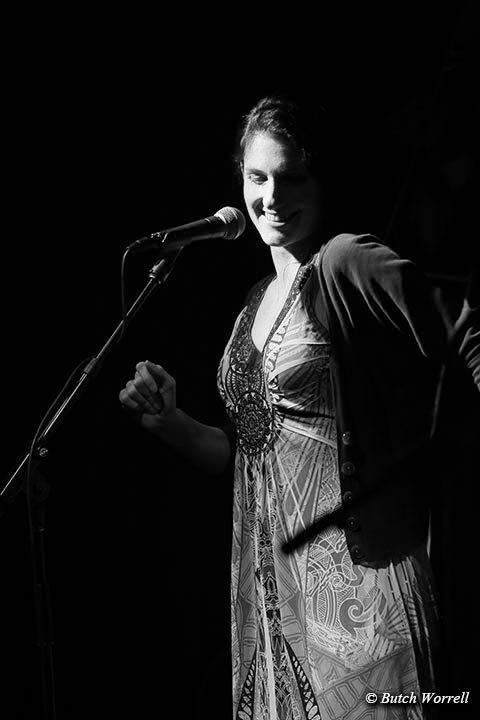 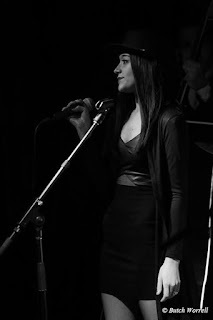 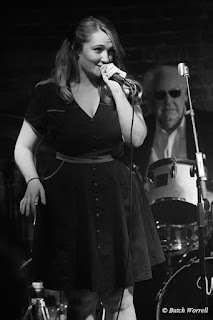 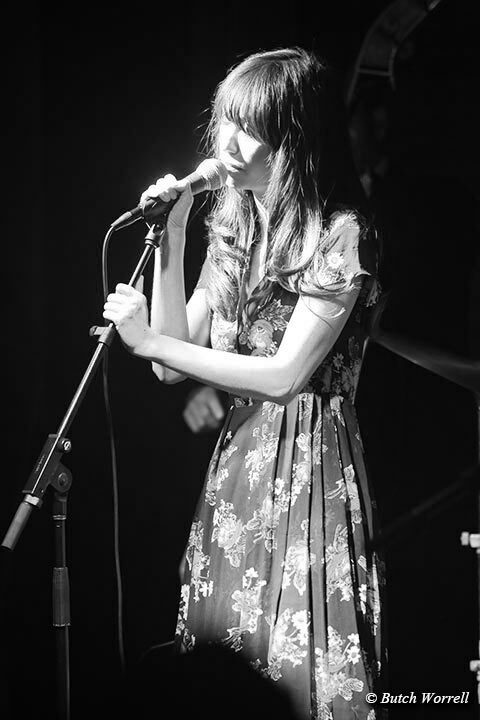 As Carlene put it, it was just a big party, singing and playing for family and friends.